Heart's Delight Cards: Grab Your Greetings! 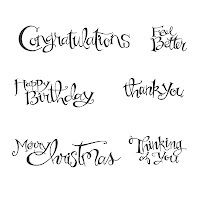 Did you know Stampin' Up is having a 25% off sale on selected greetings? This sale will run through June 30th! It's the perfect add-on to your order, and the greetings are just too cool. Here is the pricing. Contact me to place your order, and if you need a copy of the bright, shiny, new catalog, let me know and I'll include that, too!